My hunt for the ultimate tinted lip balm is well documented. I have a menagerie of MLBBs (my lips but better), but I’m always on the lookout for something new that will knock my socks off. My current fave finds are Clinique Almost Lipstick in Pink Honey (here’s a post on that) and Revlon Kiss Balm (here’s the post on that, where I again opine about Maybelline Color Whisper, a perfect but discontinued product). I would recommend either of these in a heartbeat, but they have some qualities that take them out of contention for Perfect Tinted Lip Balm. The Clinique is too much like a lipstick, and doesn’t moisturize as much as I’d like, and the Revlon has caps that simply refuse to stay on, making them impossible to keep in a handbag without the inside looking like a crime scene. 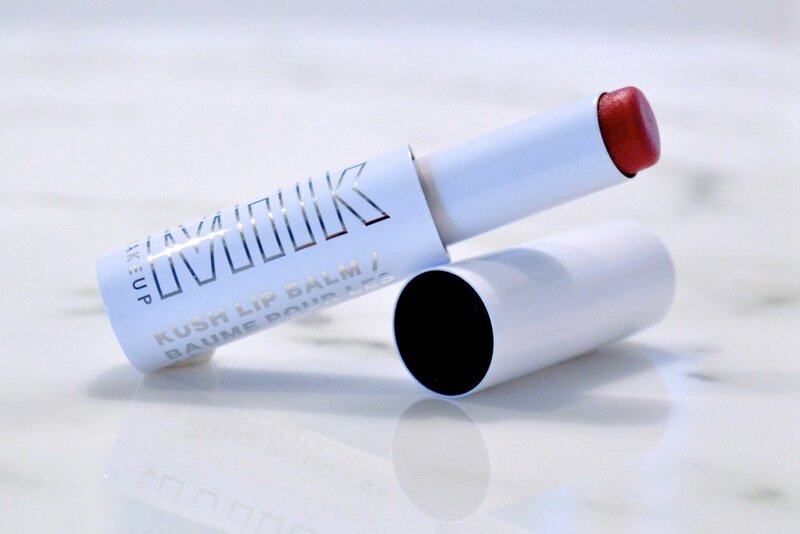 Milk Makeup, a brand that I find myself becoming more and more obsessed with, has solved both of these problems with Kush Lip Balm. This is a moisturizing balm with the perfect tint (I have the shade Bubble). You can apply it without a mirror, and it keeps your lips moisturized for hours. It has a faint herbal scent, presumably to tie into the herbal theme of the kush line, and it is a great change from scented lip products that always seem to smell like baked goods. The scent also fades pretty quickly, so don’t worry - your mouth won’t smell like a new age bookstore all day. The real kicker for me, though, is that Kush Lip Balm has a magnetic cap. This baby is MADE to be put in your bag, or pocket, or wherever, and not make a mess of everything. This is truly a game changer that has made me despise every non-magnetic lipstick cap in my life. The little tug and click when you close this balm might make this product worth it all on their own, but when you add that this balm gives the perfect amount of color and leaves your pout mega-moisturized? My hunt for the perfect lip product may be over.